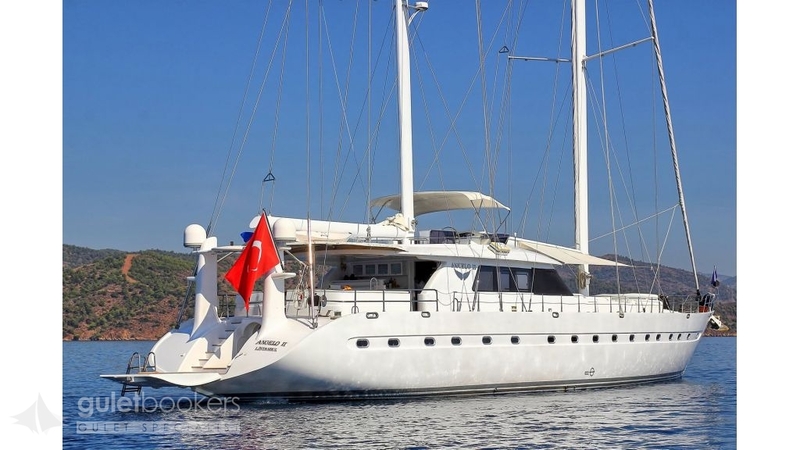 The modern Deluxe gulet Angelo 2 is a luxuriously stylish white 35 meter gulet which was refitted in 2015, and unusually can carry up to 14 guests for larger families or groups. 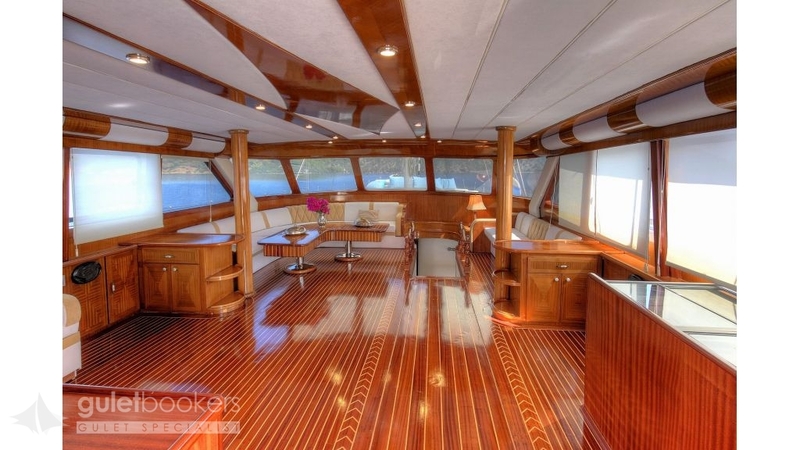 With her modern deck structure from the outside she resembles a luxury motor yacht, but the wooden interior is designed very distinctively with comfortable and spacious seating, ideal for entertaining, stretching across the whole width of the saloon and lit by wide windows ensuring ample natural light. 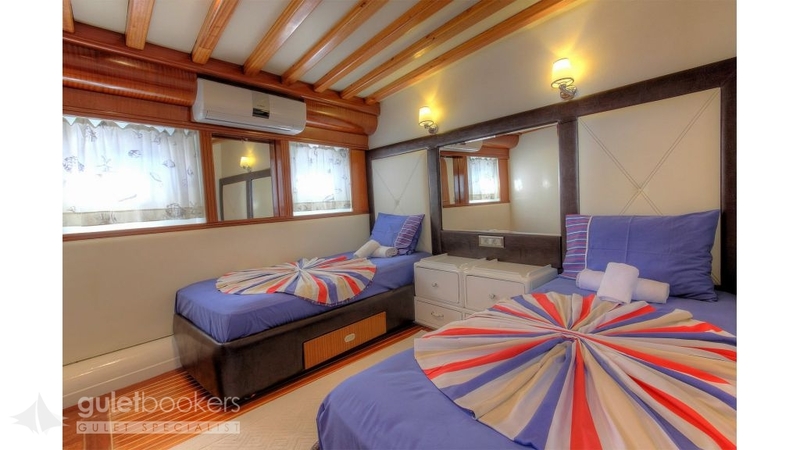 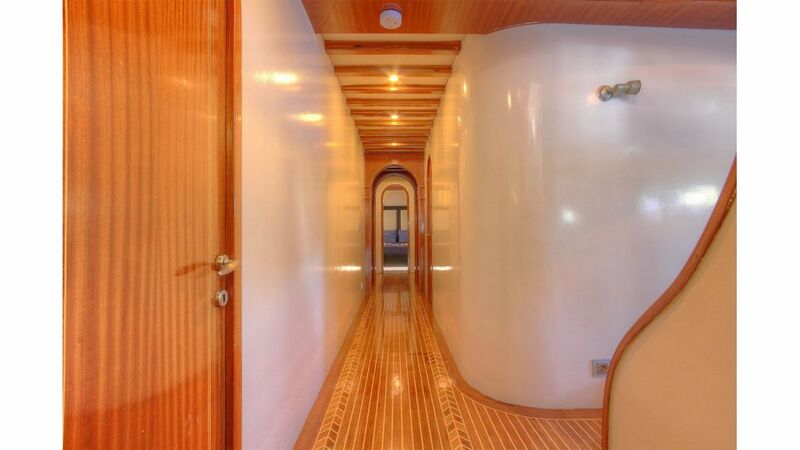 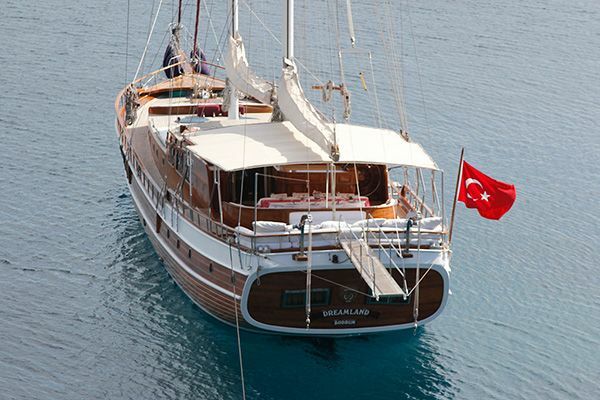 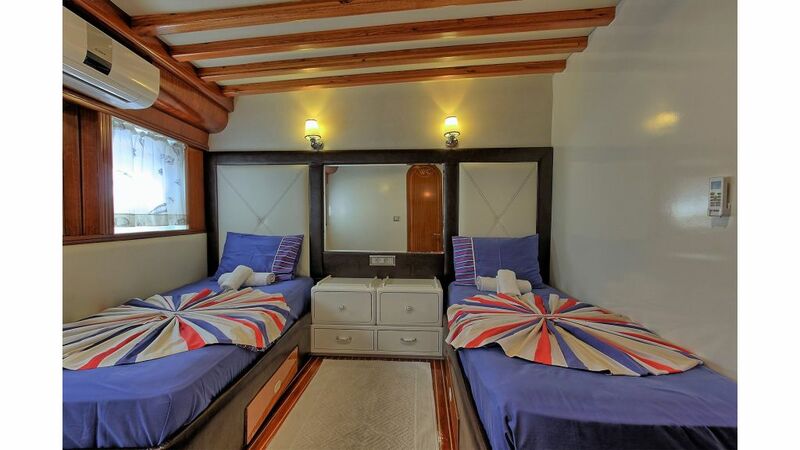 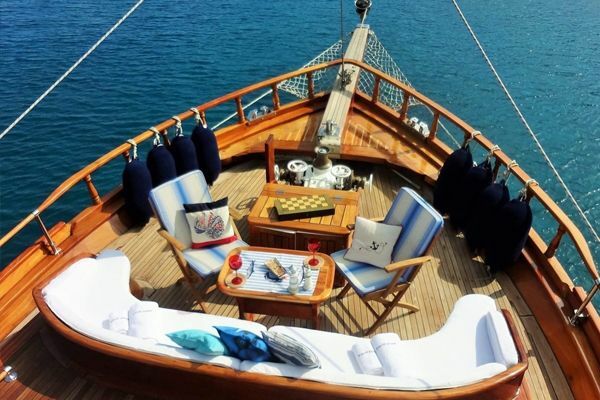 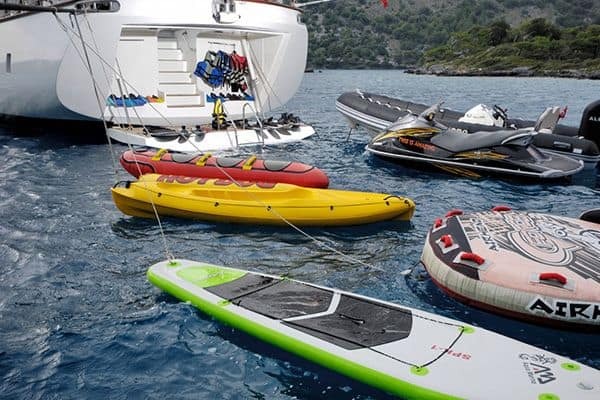 The seven cabins of the gulet offer simple, light and luxurious accommodation with one master cabin and six double bed cabins all with queen size beds, for a family or a group of friends up to fourteen people. 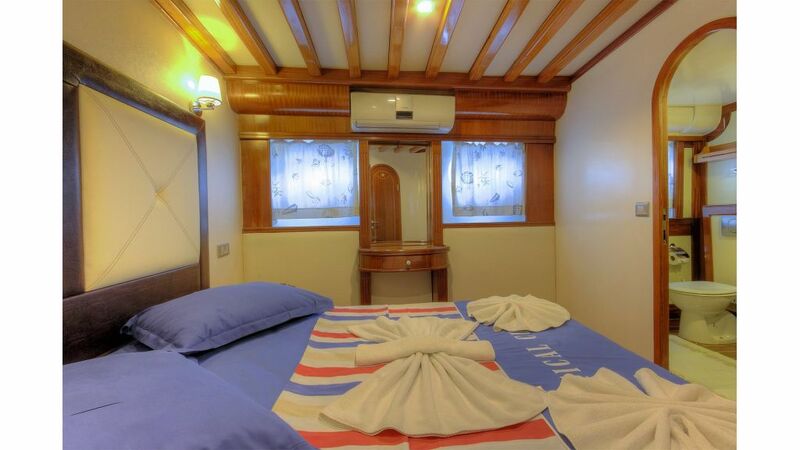 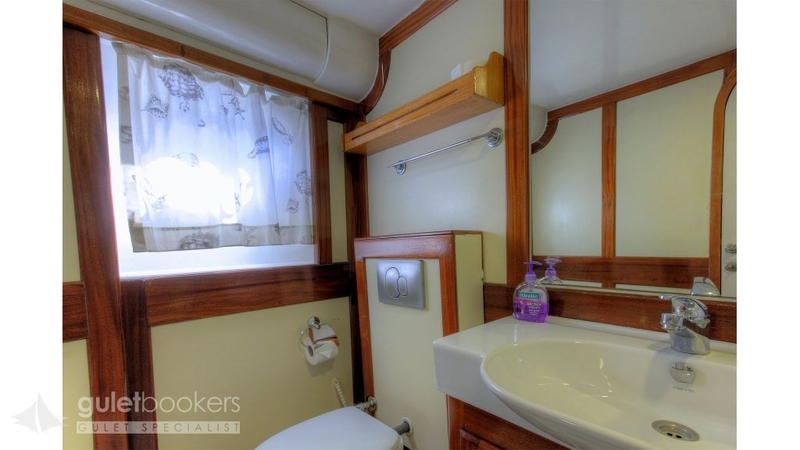 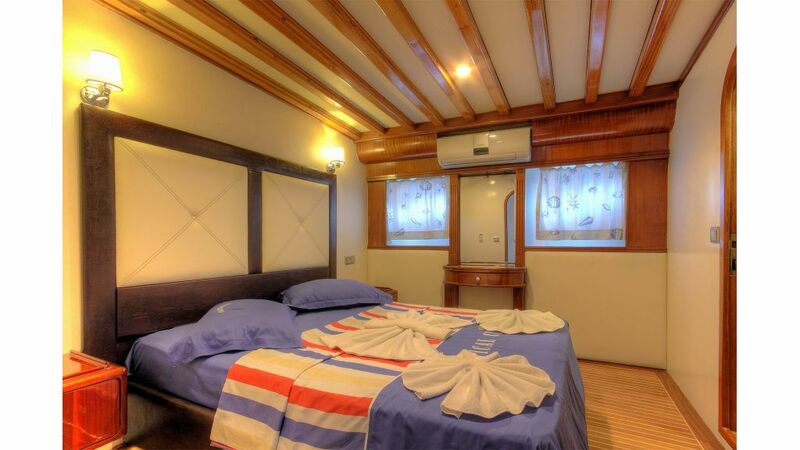 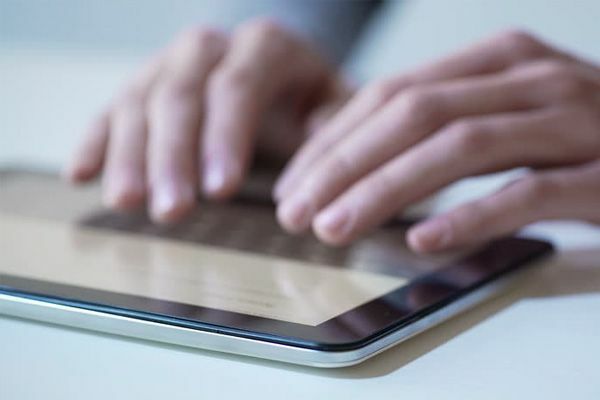 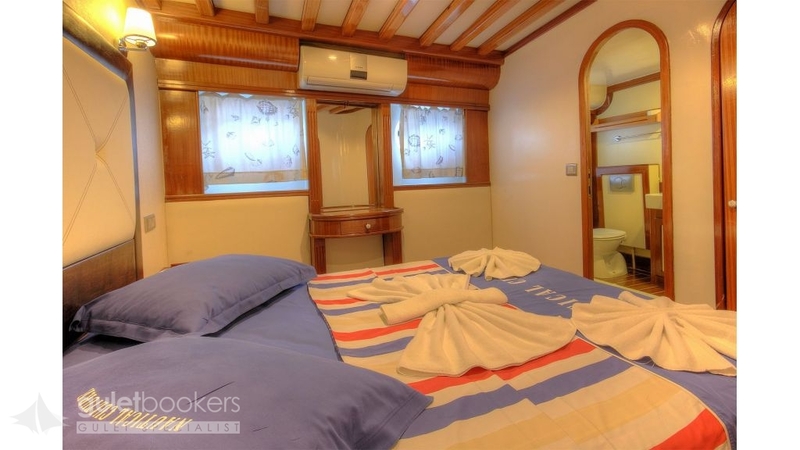 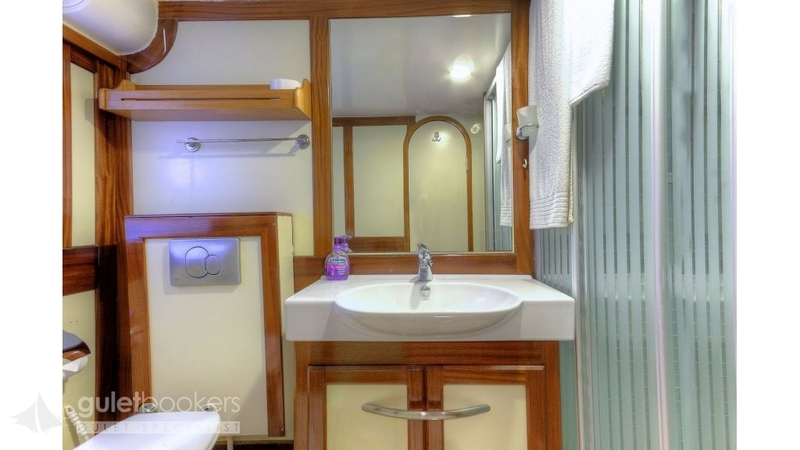 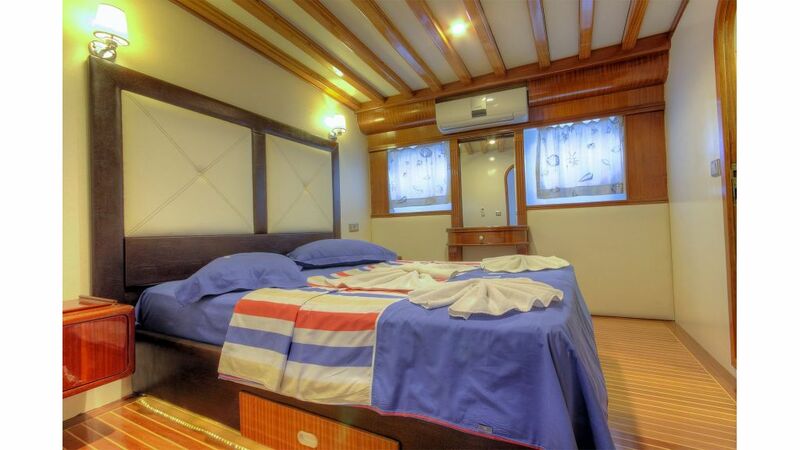 All cabins are air-conditioned throughout, have well-appointed bathrooms with shower cabins, and there a TV/DVD- and music system for entertainment. 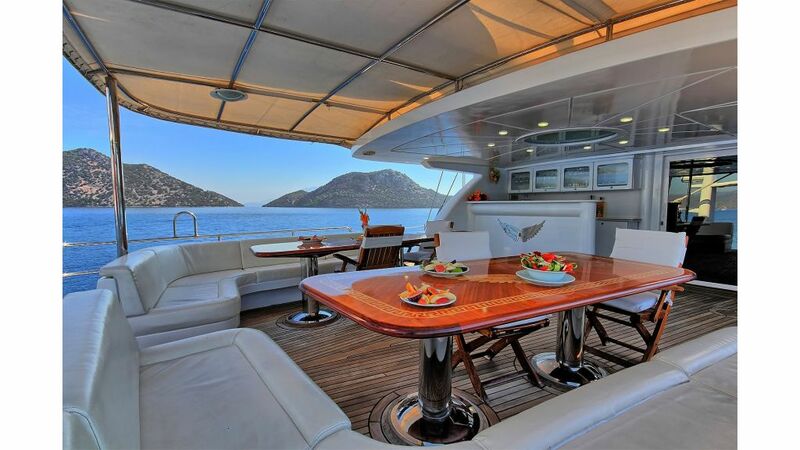 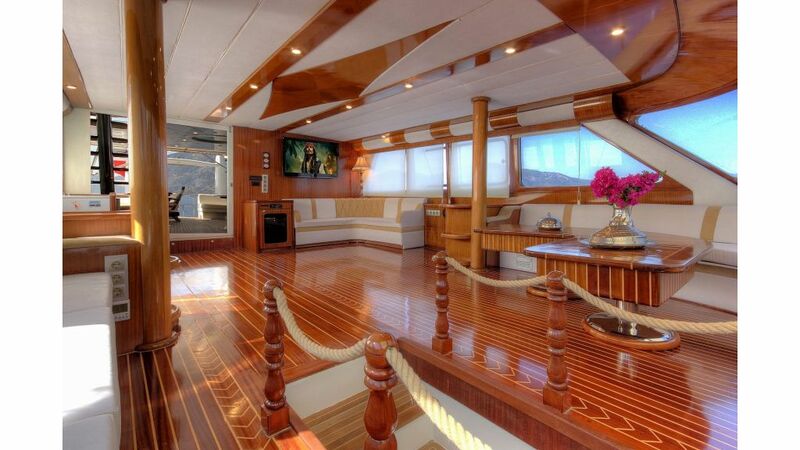 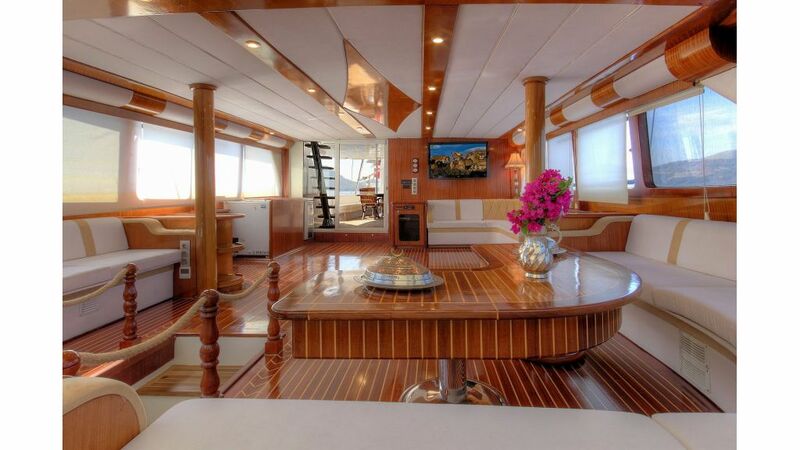 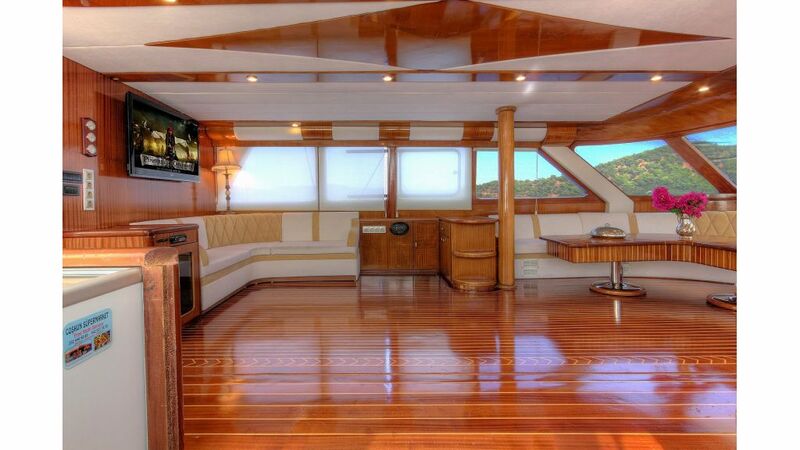 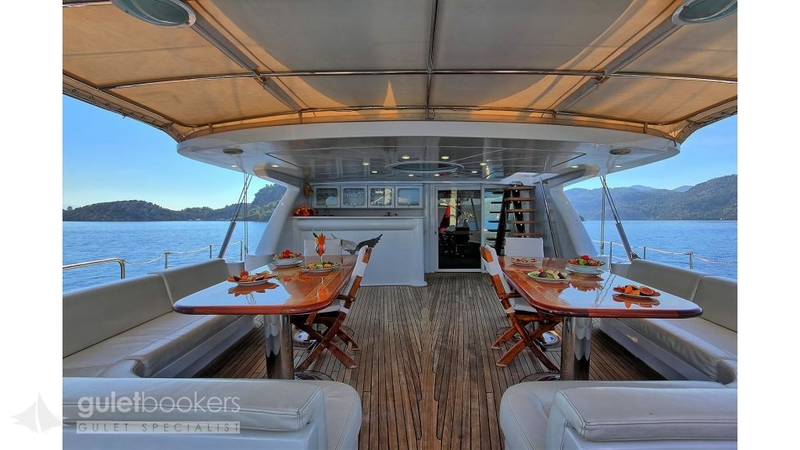 The air-conditioned saloon offers a Plasma TV/DVD and music system for those who wish for some screen entertainment, while guests may move easily from the saloon through the large glass sliding doors onto the aft deck on the same level. 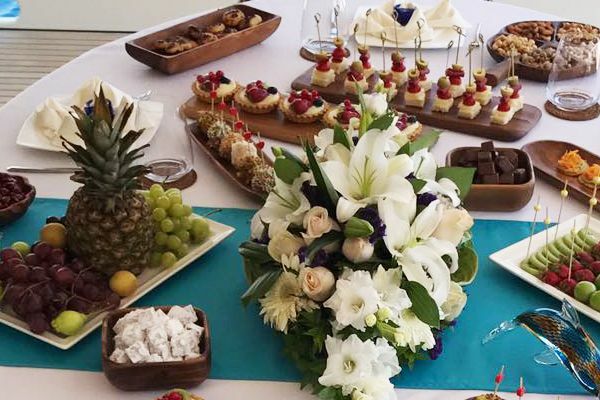 The greatest enjoyment on a blue cruise aboard a gulet is sharing the outdoor meals at the aft dining table with delicious meals the professional crew prepares and serves. 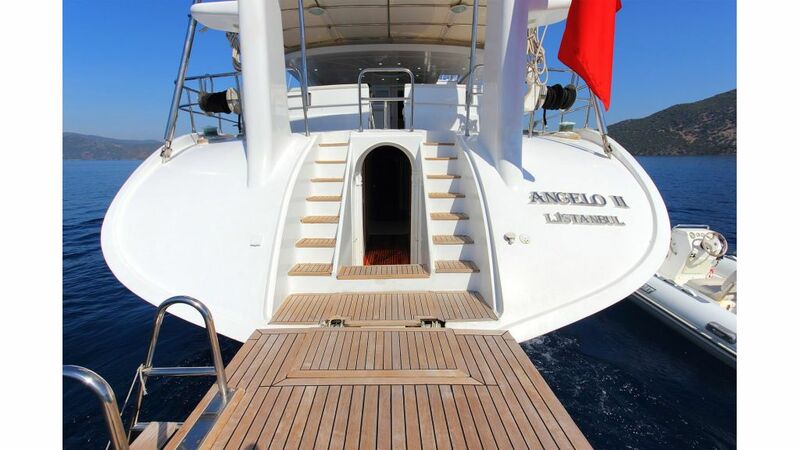 The stylish white hull of Angelo 2 has a modern swim platform at the rear to facilitate the access to the sea and the many watertoys available for guests. 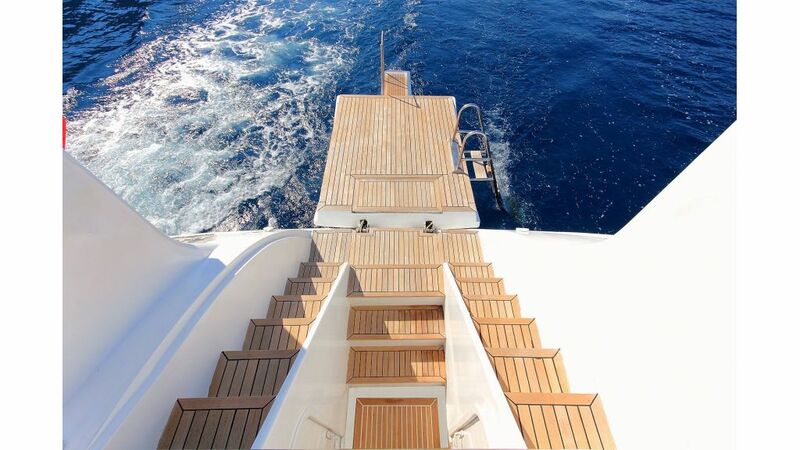 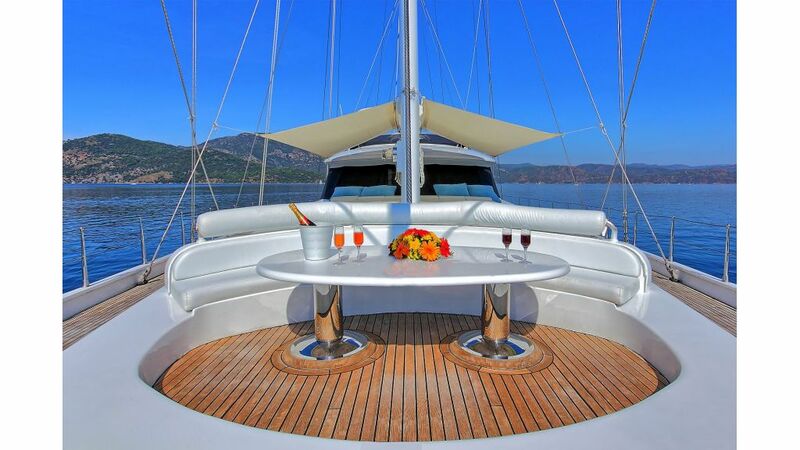 The distinctive design on the foredeck has the platform for the sun beds lengthened towards the bow to enclose a round table. 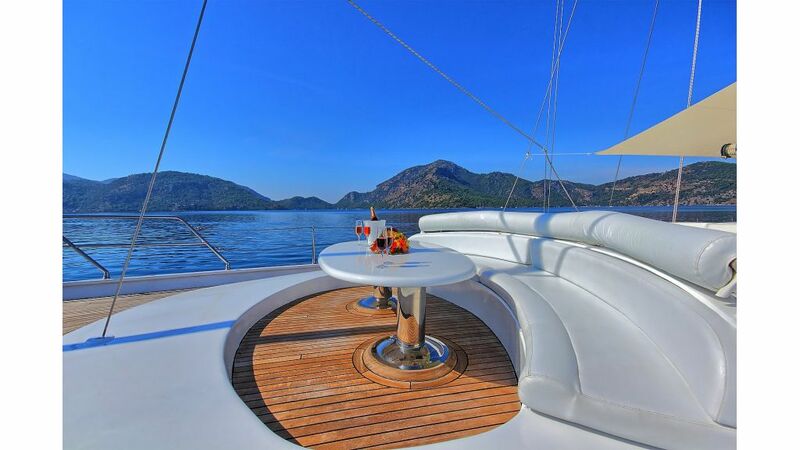 Cushions are placed around the table for a seating or dining alcove where magnificent views to the sea and the Turkish coast can be enjoyed. 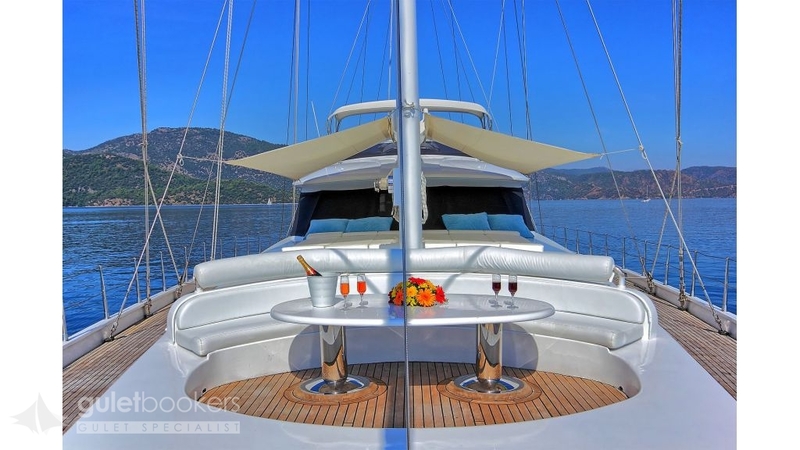 The comfortable white U-shaped seating bench in the rear invites the guests for relaxing in the shade all day long while a small private sun deck is offered on the fly bridge has access by a stair case from the aft deck, beside the navigation desk of the captain shaded by a bimini. 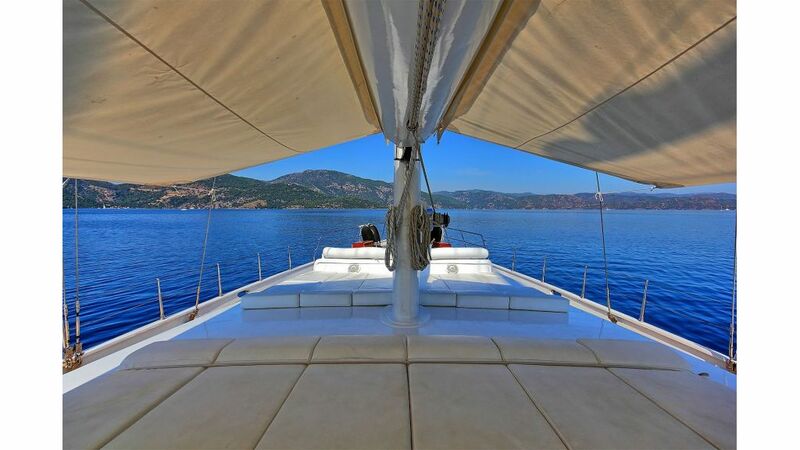 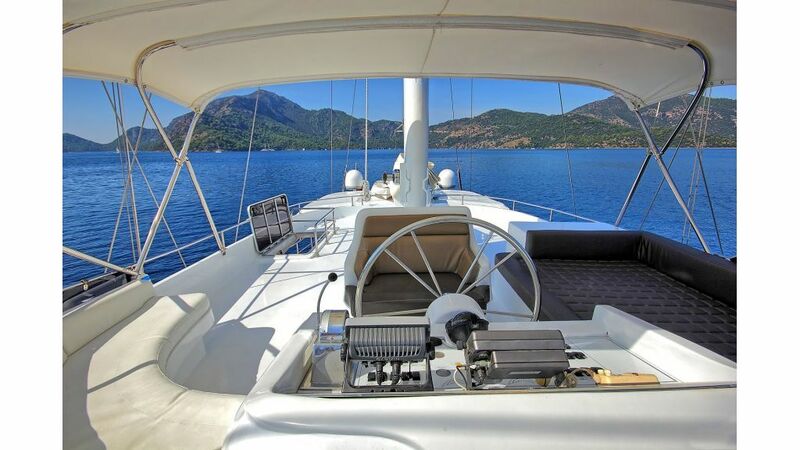 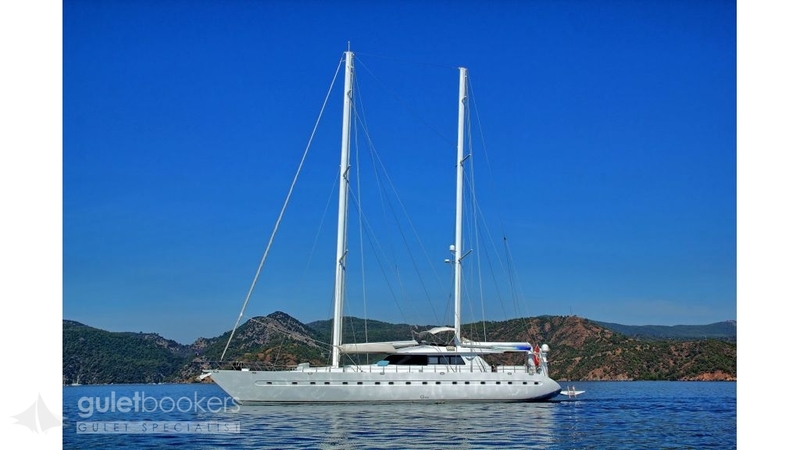 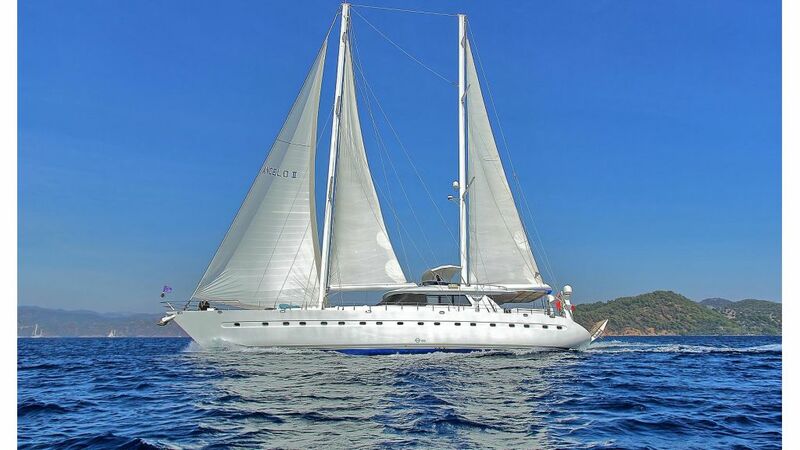 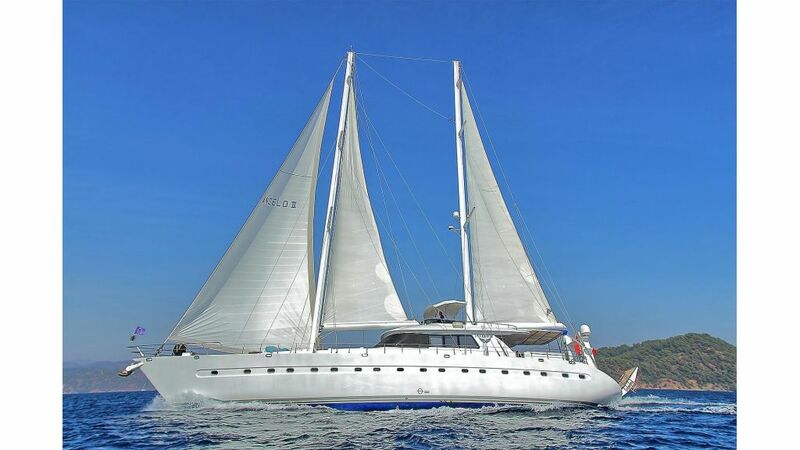 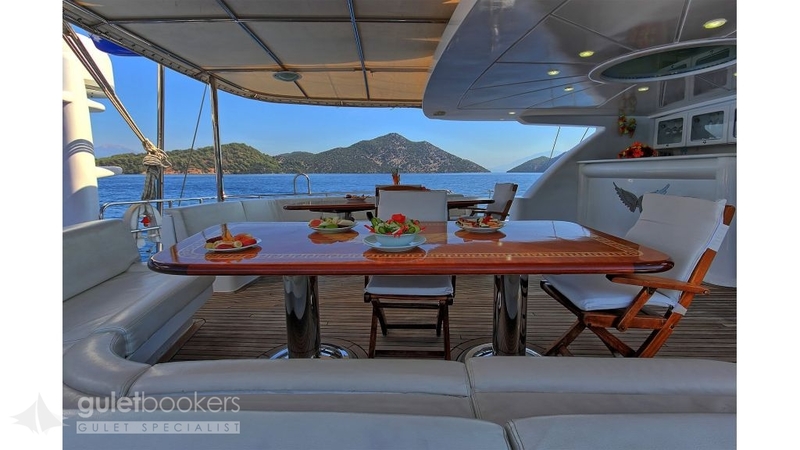 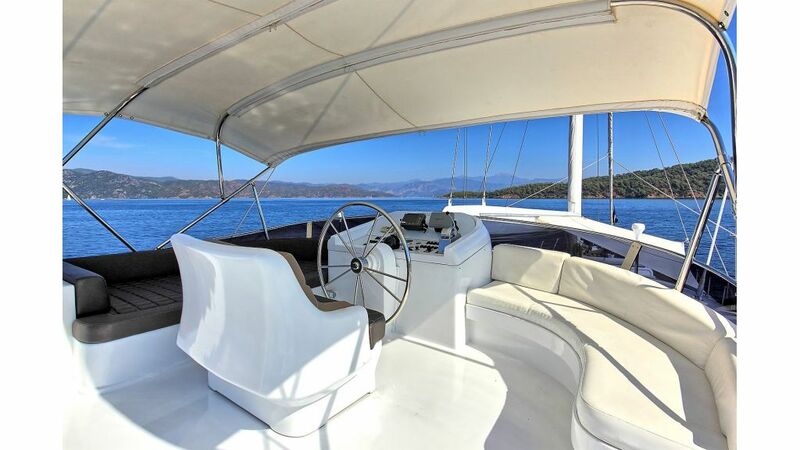 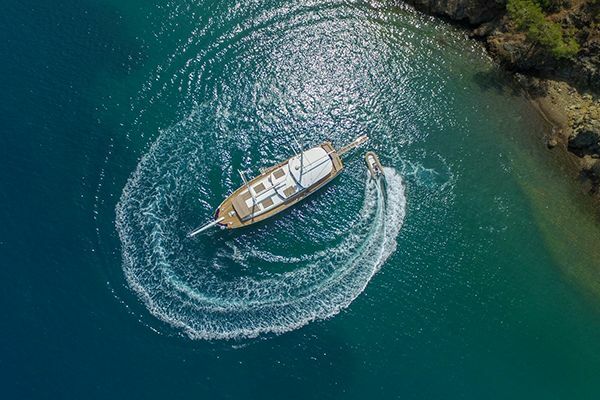 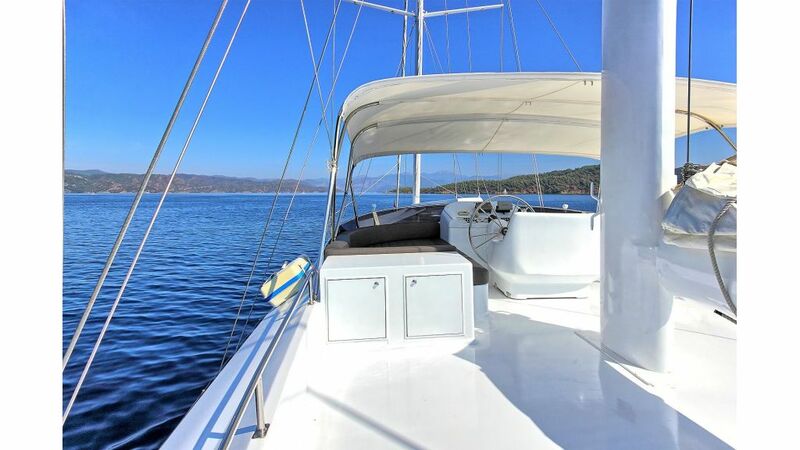 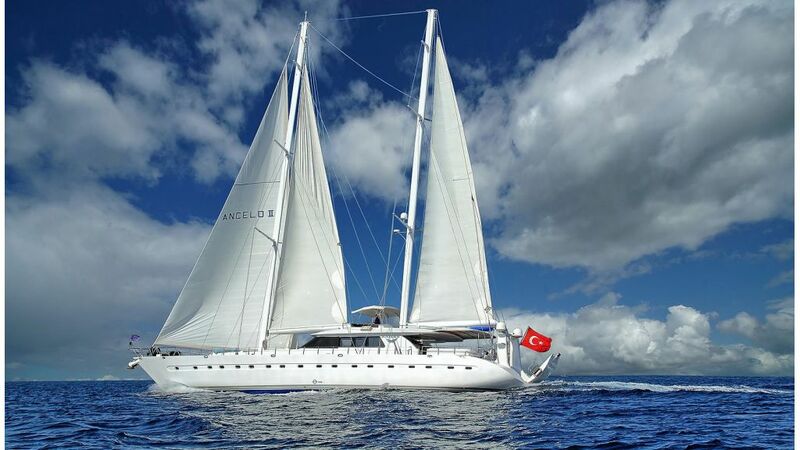 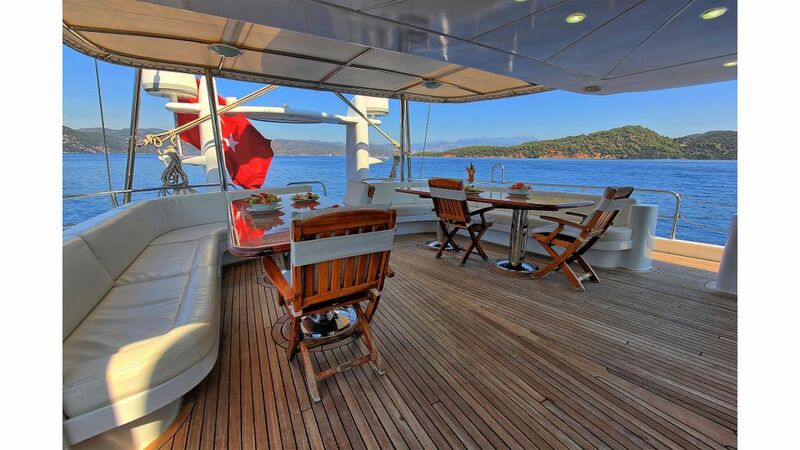 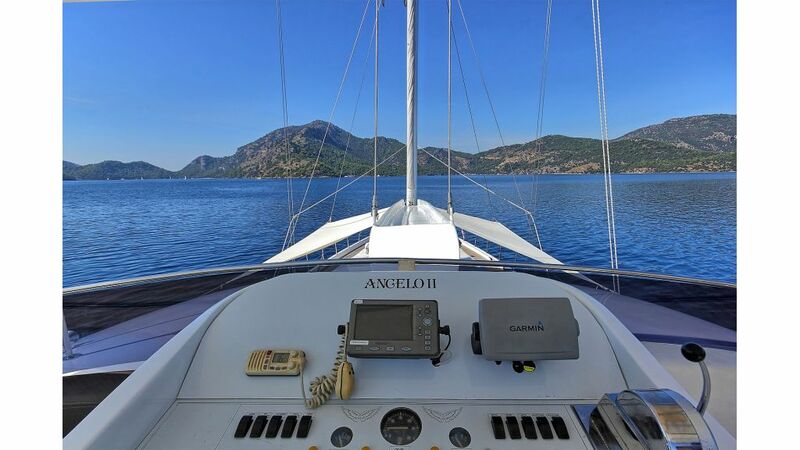 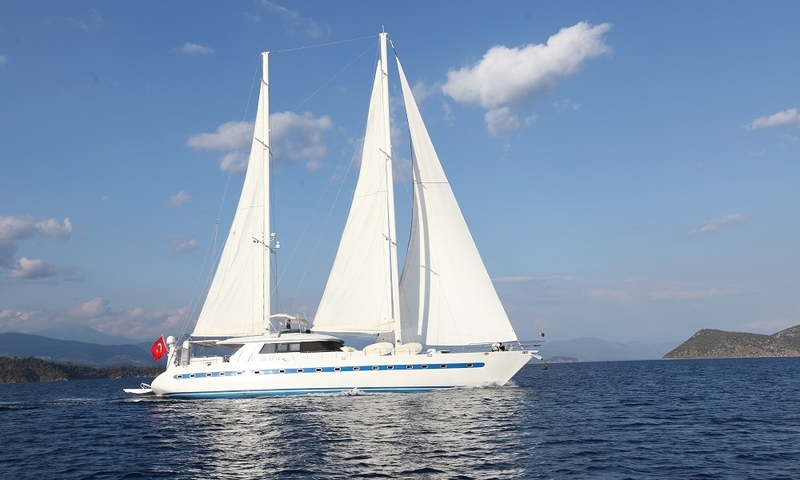 The professional and experienced captain and crew of four ensure that guests aboard will enjoy a deluxe experience of “Blue voyage” sailing, dining and cruising the Turkish coast or Greek Dodecanese Islands in fine style aboard the excellent gullet Angelo 2.